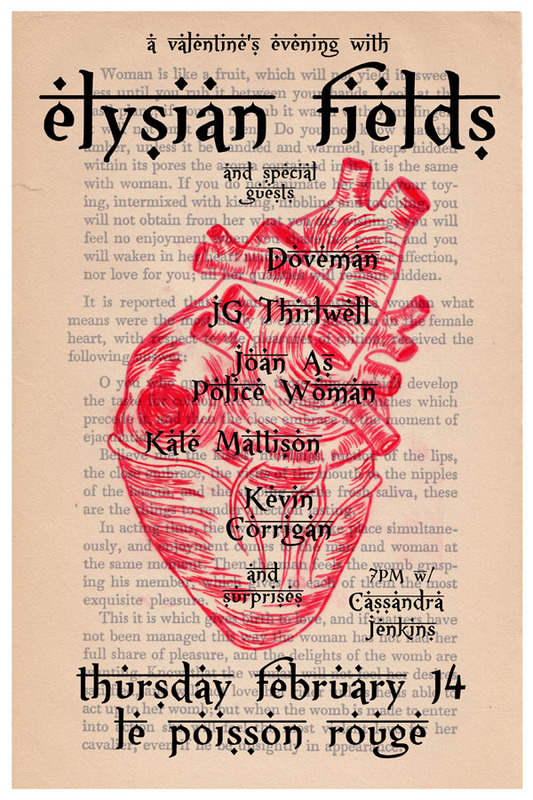 JG Thirlwell will be guesting with compadres Elysian Fields in a special Valentine’s Day concert at Le Poisson Rouge in New York. JGT will sing a duet with lead EF chantueuse siren Jennifer Charles, who collaborated with him on the track “Thrush” on the Foetus album LOVE. Other special guests appearing at the concert include Doveman, Joan As PoliceWoman, Kate Mattison and actor Kevin Corrigan.